Christmas light decorations come in all shapes, sizes and colors. They can illuminate hallways and bedrooms and call forth friends looking for a place to celebrate. 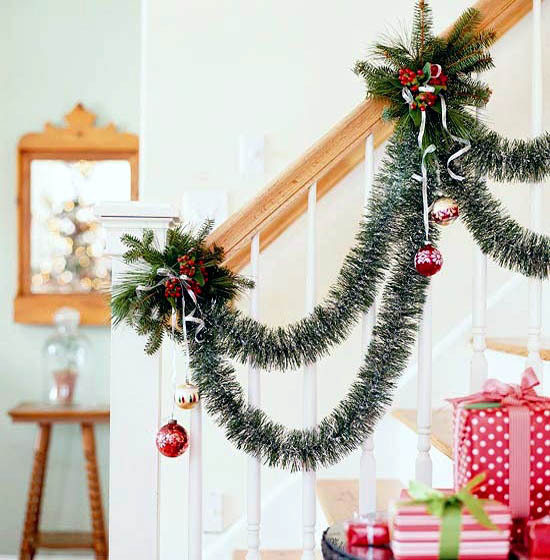 However, Christmas lights can be used to enhance home decorations and brighten your home with love and joy. 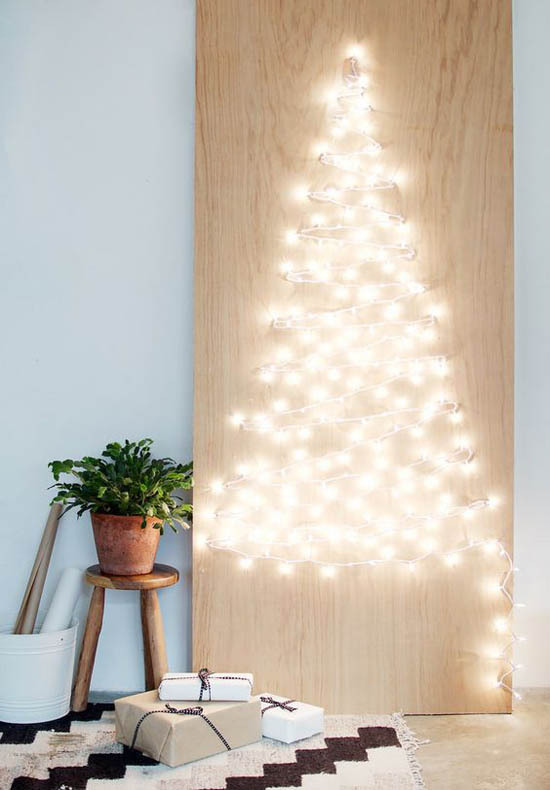 Light up Christmas trees in every room with this do-it-yourself light Christmas tree. All you need is an extra string of lights and you will be merry and bright no matter where you are. Enjoy the whimsy of summer time fireflies by creating your own with clear colored lights. 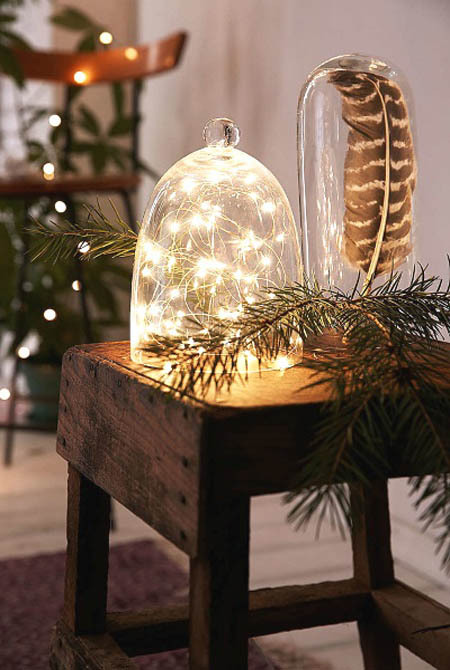 Enclose the lights in a clear lantern or vase to give the effect of sweet fireflies in the winter. Simple stemware, such as mason jars, are very versatile and are great for creating your own projects. 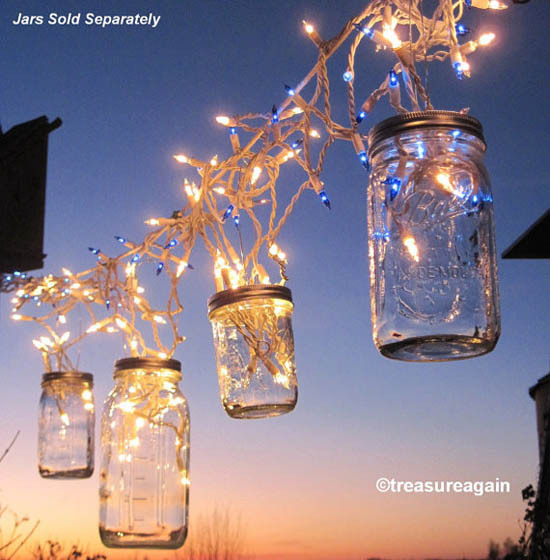 Adding a string of lights to create outdoor lanterns will transport you and your guests to a fairy wonderland. The fire place is a magically form of light all its own. Let it truly shine by adding white lights that will accent its beauty and warmth. 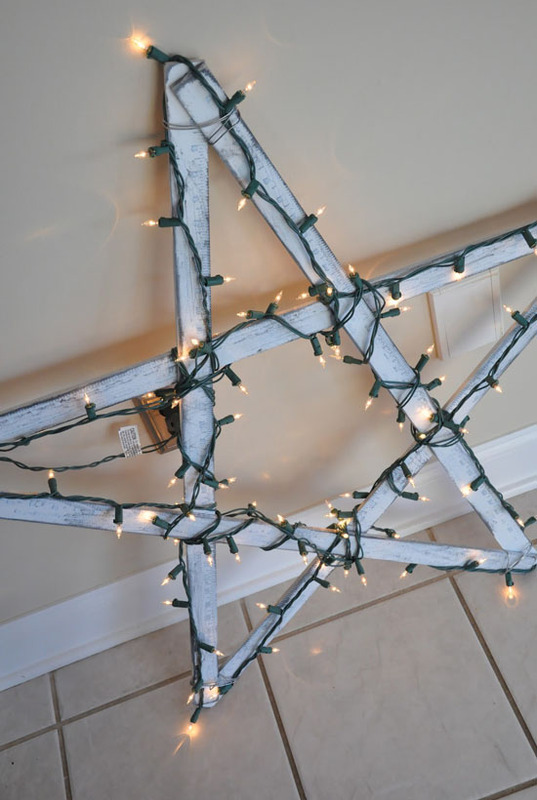 Rustic trends are always great for changing your Christmas decorations. 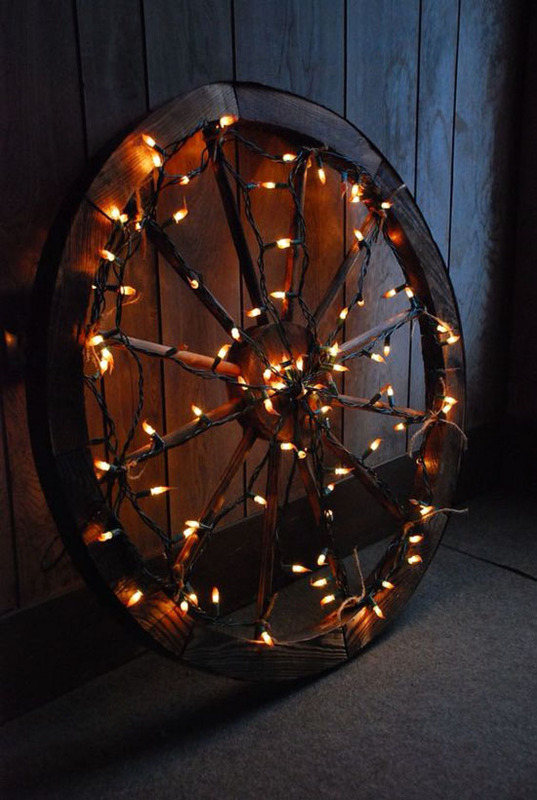 The possibilities are endless when you use a wooden palate and a string of lights to create an unforgettable decoration. 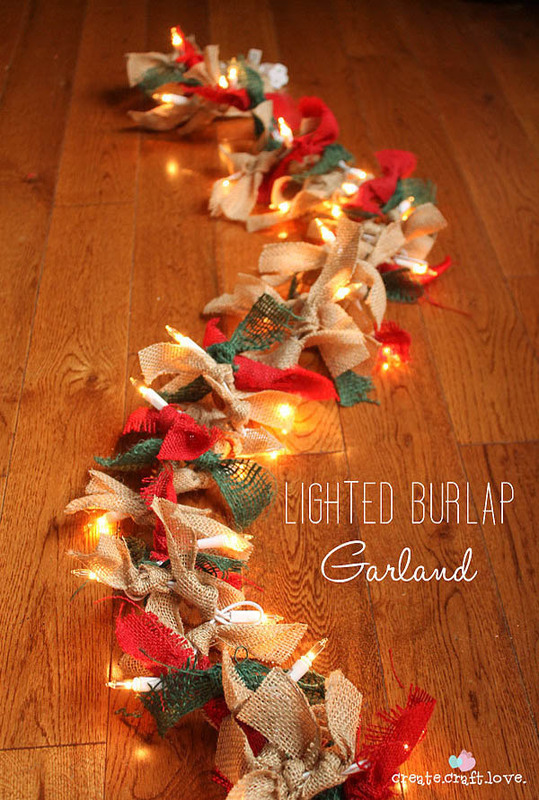 Continue the theme of handmade by taking strips of burlap and adding colorless lights to create a unique garland string. Your guests will be amazed and impressed. Simple items, like the ones you find your home, make for the best crafting tools. 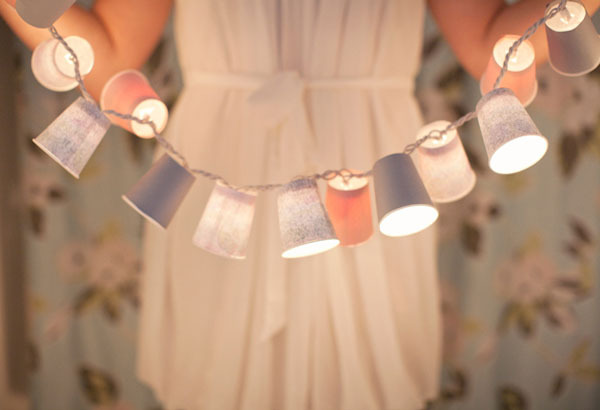 Cut holes at the bottom of each cup and insert a string for lights for something fresh and new. Really wow your guests with this fun and intricate outdoor light. 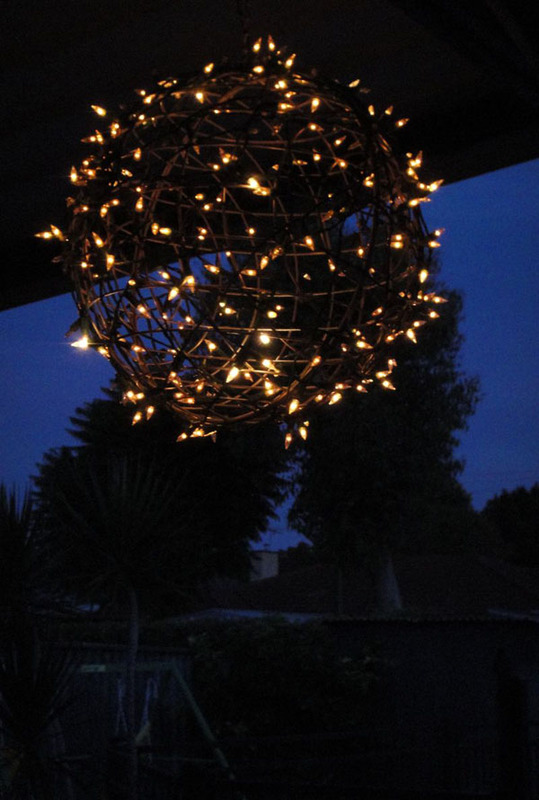 Wrap clear lights around metal globe to create the ultimate magical and fantastical backdrop for your outdoor parties. 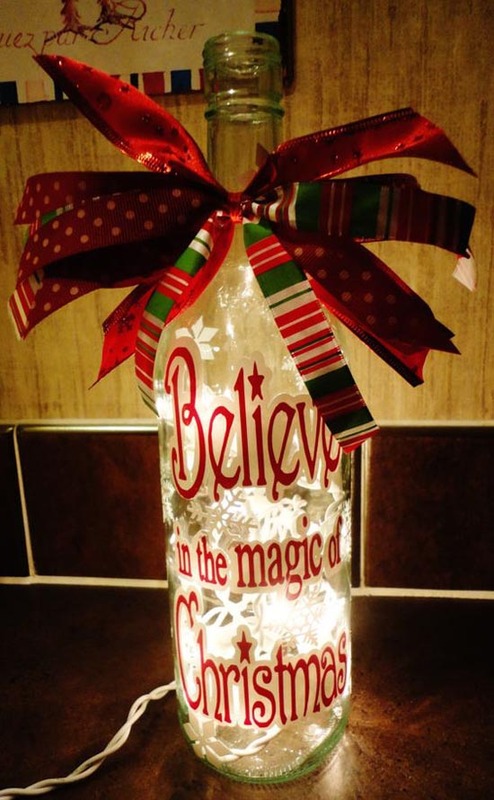 Snow globes are a classic and traditional decoration for all ages. 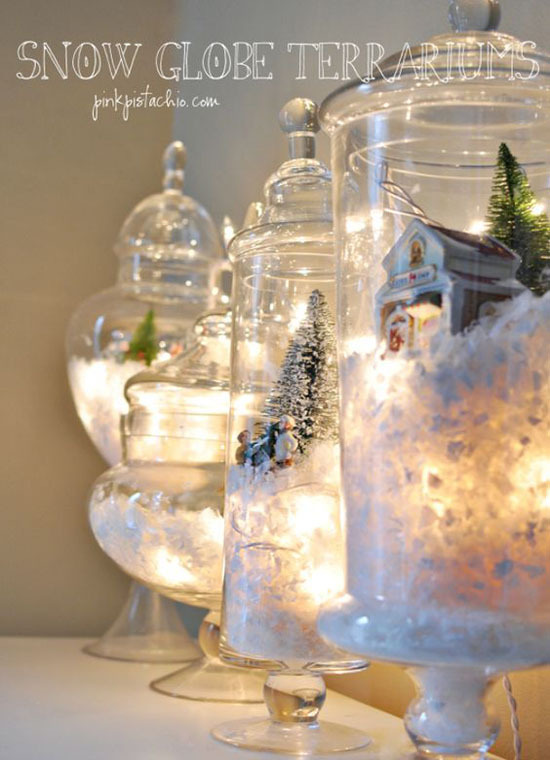 Turn it up a notch by creating your own terrariums full of holiday tress, snow and gingerbread houses. The outdoor Christmas decorations is a calling to travelers and friends that warmth and friendship awaits them. Make your holiday bright with a beacon of light right outside your home. 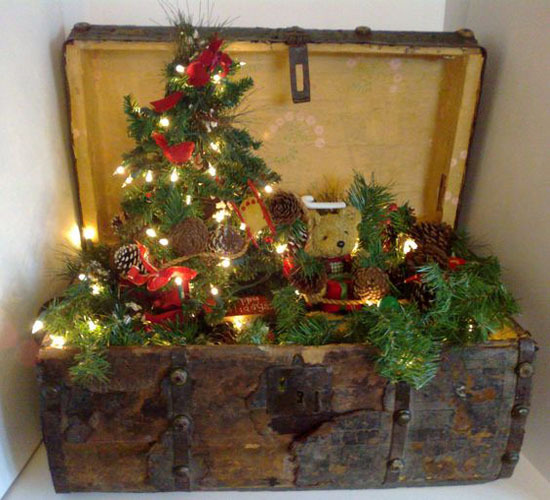 Take a unique approach to Christmas decorations by filling a wooden trunk with lights and Christmas joy. Your home will be full and joyful for all. 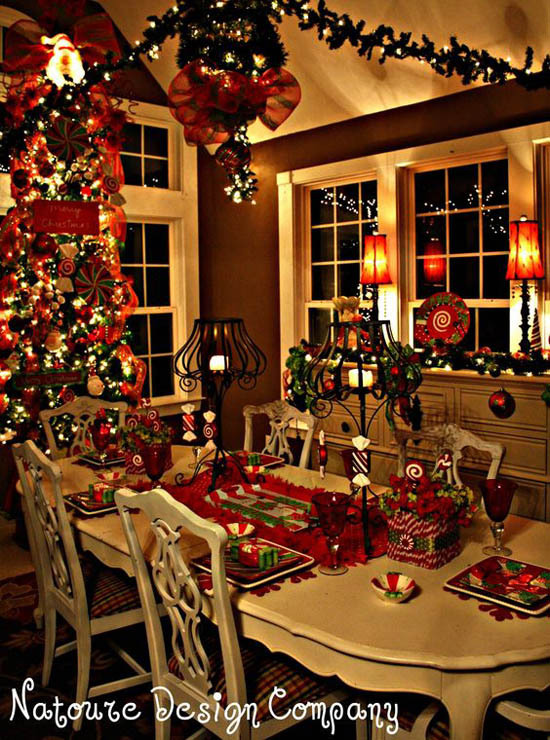 White red and green are the classic colors of the Christmas holiday, try something new with different colors. Your holiday will be just as cheerful and joyous. 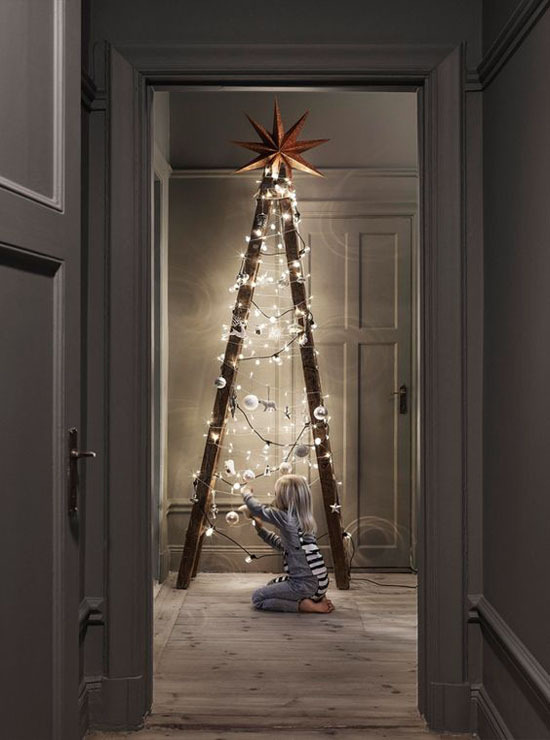 The Christmas star does not only have to be on top of the Christmas tree. Use this staple decoration as the main focal point of your home. Shadowboxes are great pieces to decorate your home with. These detailed dioramas will give your home a feeling of elegance and charm. Items that may be unconventional make for great Christmas additions. Take an odd piece of furniture and wrap it with lights to create your own vintage piece. Something as simple as putting a decorative basket by the fireplace adds charm to your living room. 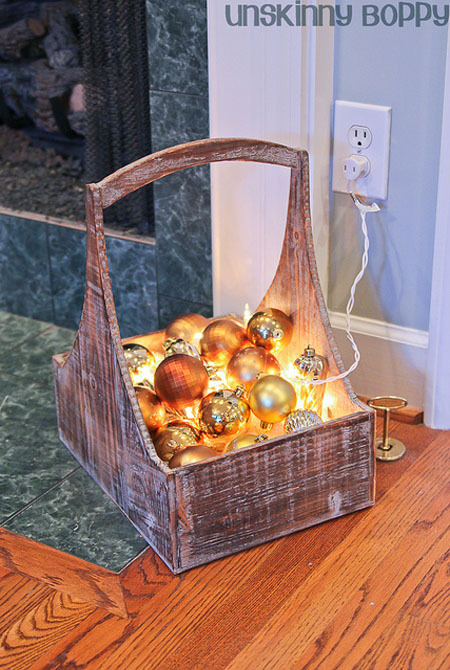 Add colored ornaments with white lights in a wooden basket. Christmas lights don’t always have to be the conventional colors. Take a turn at painting your Christmas bulbs for a fresh and different Christmas feel. 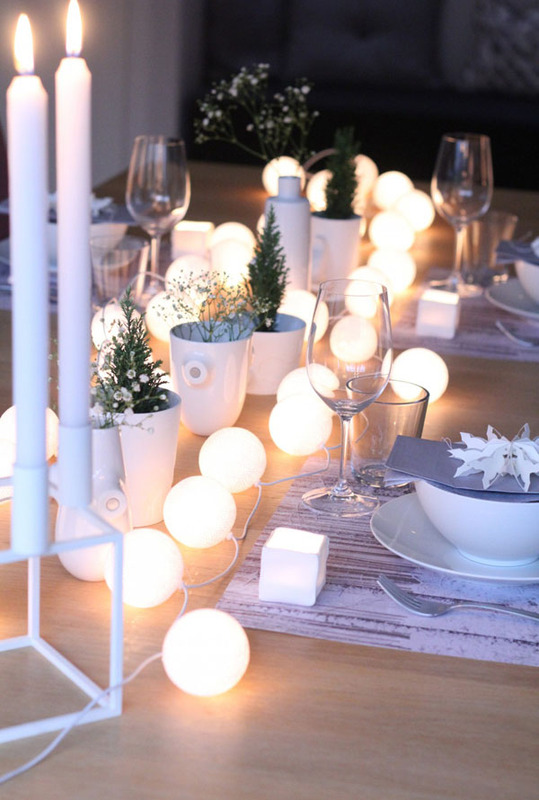 Stringing lights across your table adds lively ambiance for you and your guests. Large blubs will turn your dining room funky fresh for the holidays. Bring the outdoors inside! This flameless fire pit is perfect for chili nights without the hassle of a fireplace. 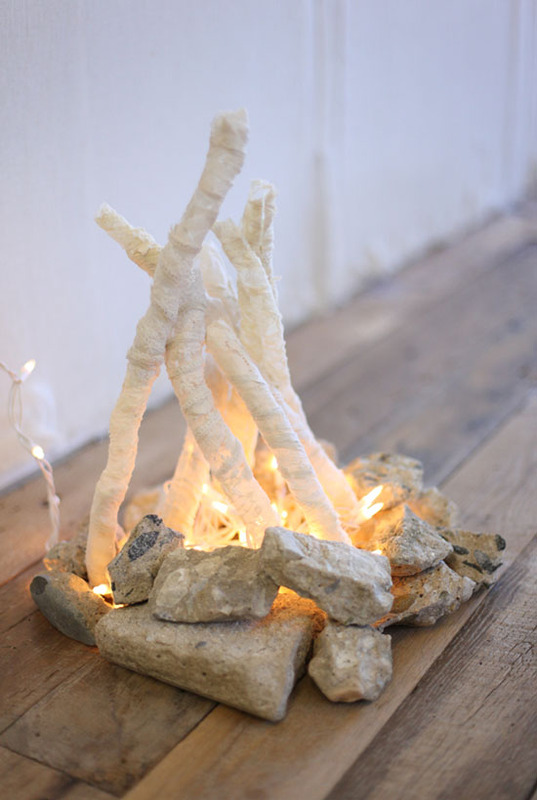 Combine rocks with dried branches and white lights to create the perfect fireplace effect. These ping pong lights are perfect and safe for children’s rooms. 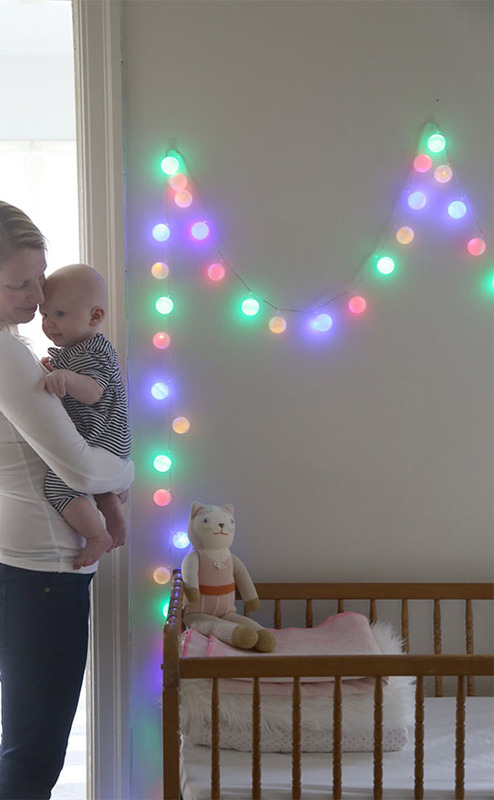 Place ping pong balls over colored lights to bring cheer to your children. Nothing beats dimming the lights at the end of busy day to enjoy your Christmas decorations. 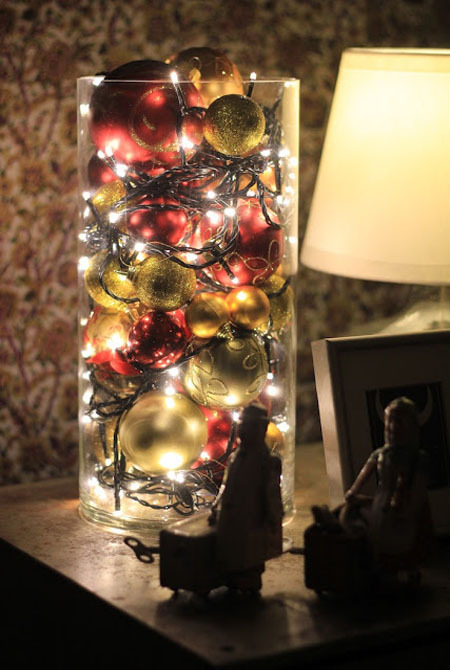 Filling your spare clear vases with colorful ornaments and white lights will make you feel at ease. 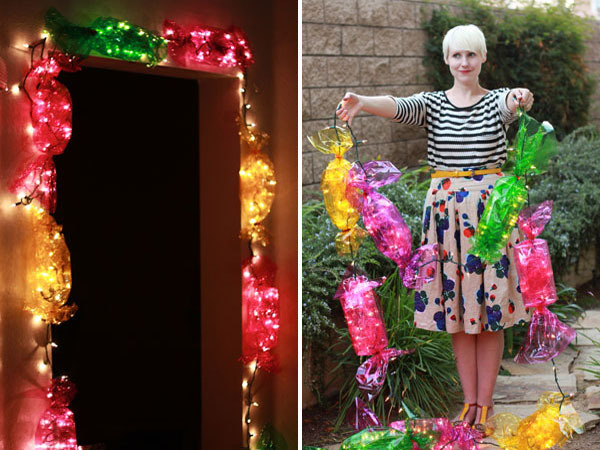 Decorate your outdoor party with playful candy lights. Wrap colorless lights in different colored cellophane for wonderful outdoor decorations. 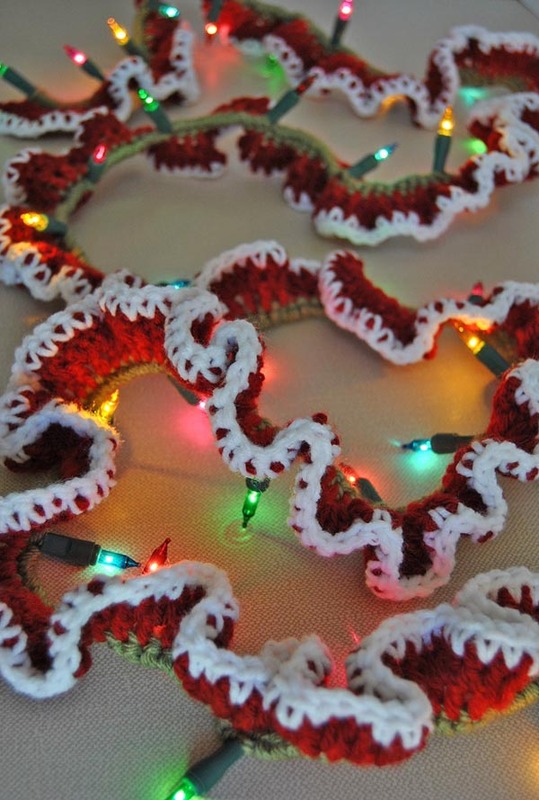 Put your crafting skills to the test by creating this crocheted garland. 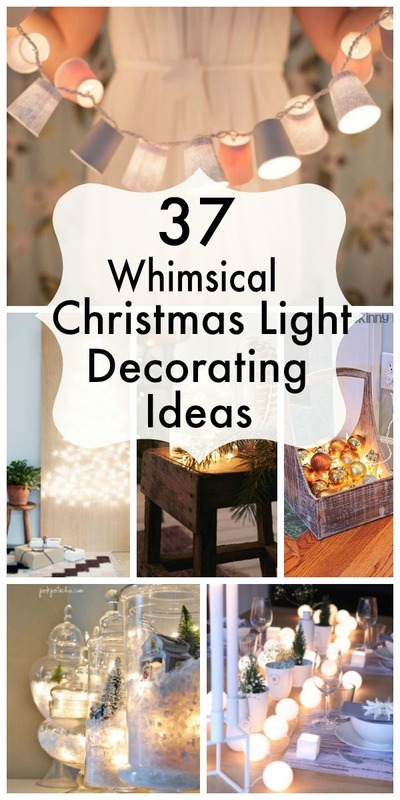 Incorporate lights into the design and bring your Christmas decorating to the next level. 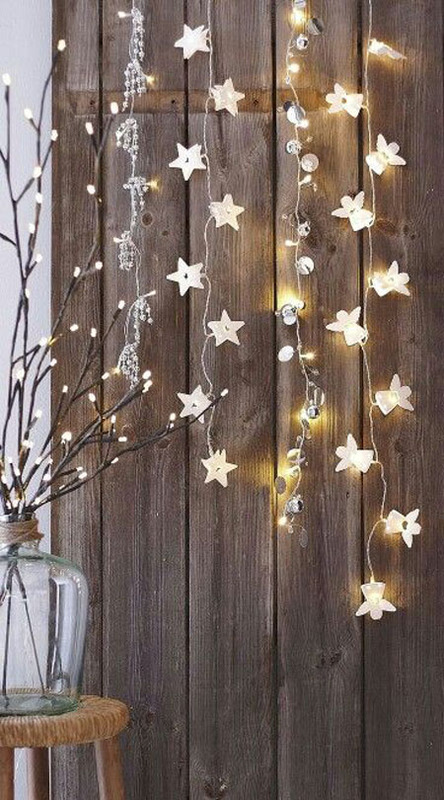 Wish upon the first star you see in this great star lit garland. 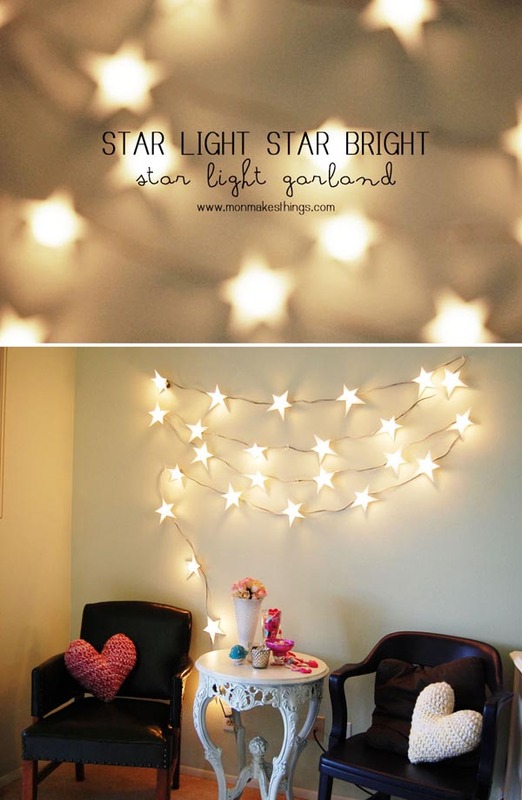 String over banisters or above furniture, the stars will be shining bright wherever you are. 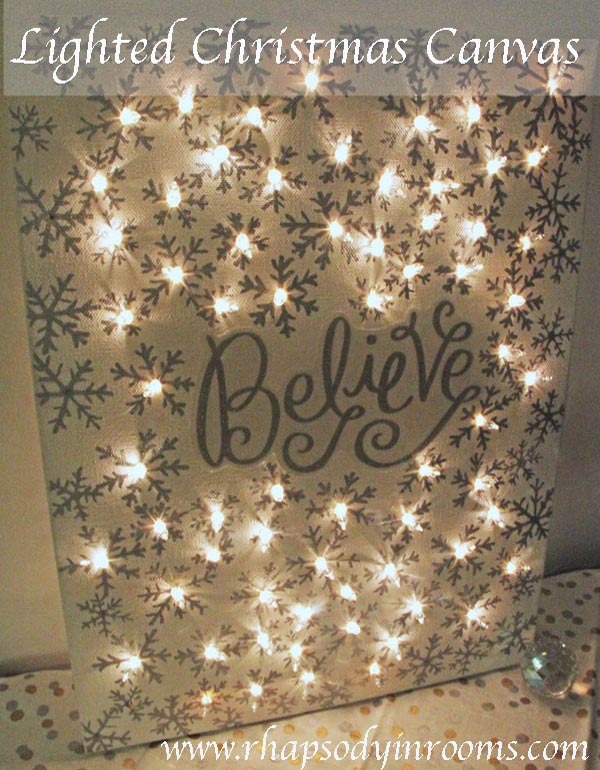 Create wonderful wall decorations with lights and canvas. Choose your favorite picture or saying and bring it to light with colorless Christmas lights. Put all of those empty wine bottles to good use. 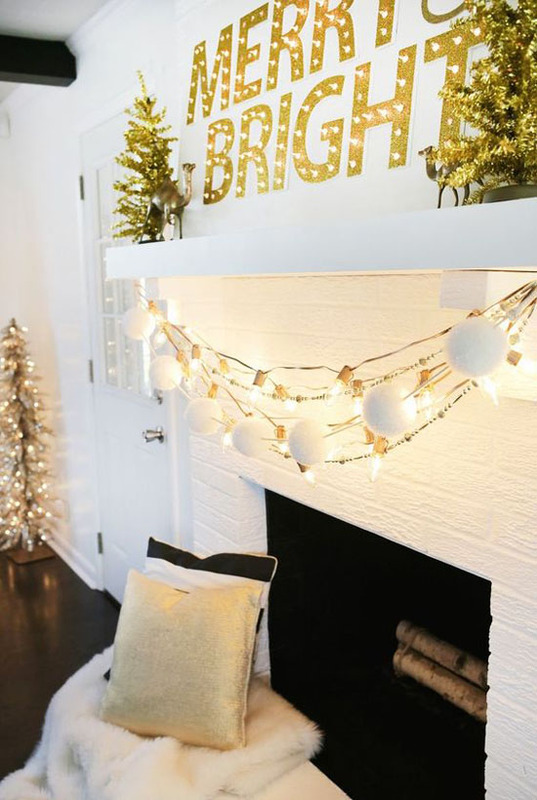 Pile a string of white lights into a clear win bottle and accent bows and Christmas glam. Turn basic furniture into a work of art. 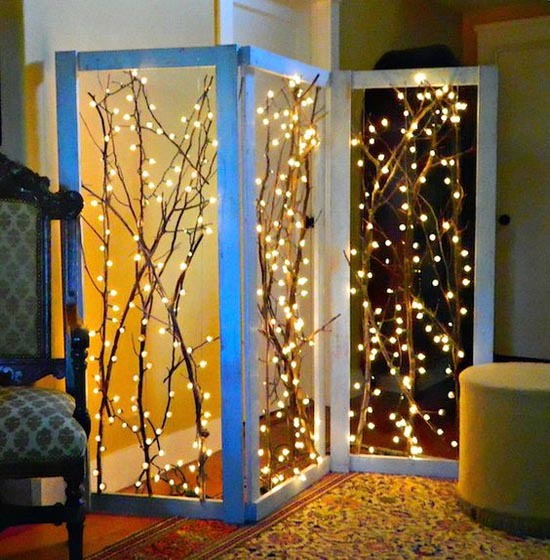 Decorate room dividers with tree branches and white lights to emulate the majestic falling snow. 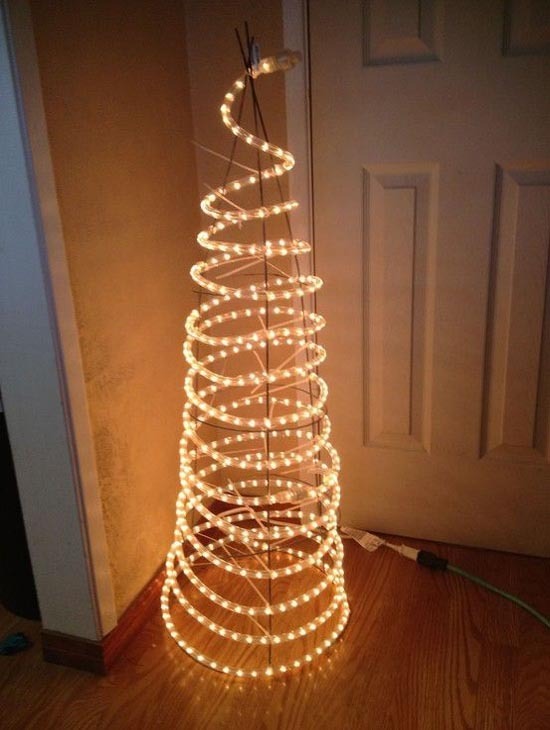 A Christmas tree of lights does not have to cost a fortune. 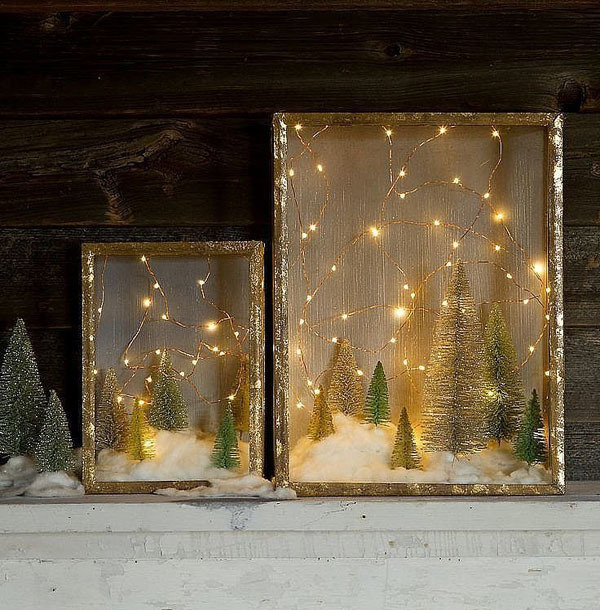 Create your own by using basic items, like a tomato cage, and white Christmas lights. Holiday chandeliers don’t always have to be elegant and costly. 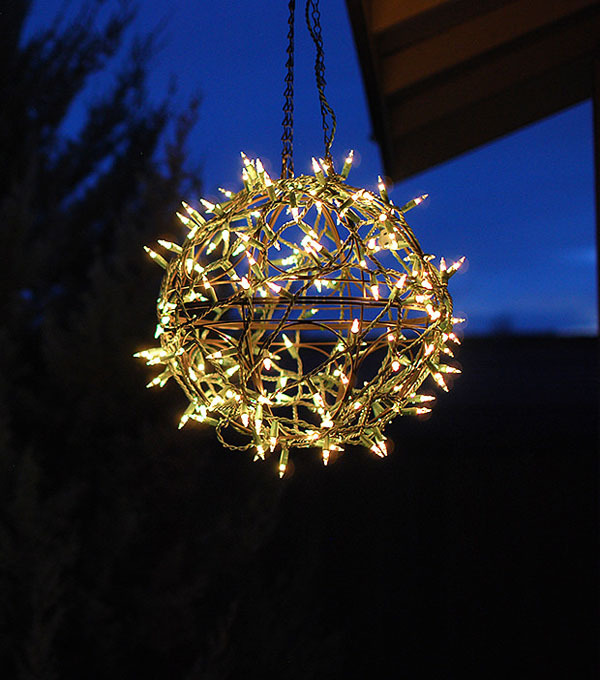 Wrap Christmas light around a wire globe and suspend from your porch. Bring sparkle to your own bedroom and illuminate your Christmas style. 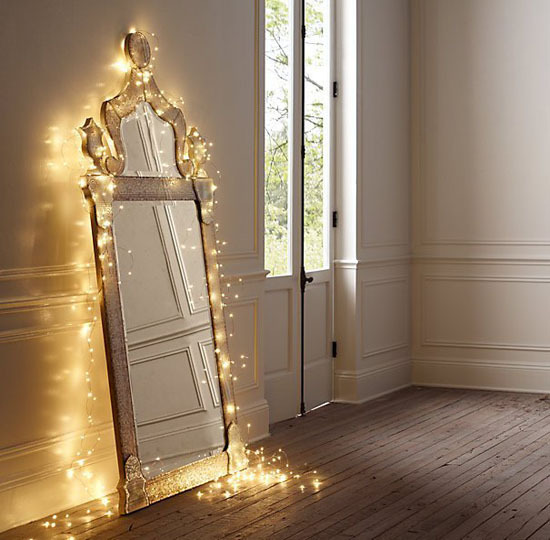 Drape white lights around your mirrors to bring all the Christmas spirit into your space. Don’t forget to decorate the fence! 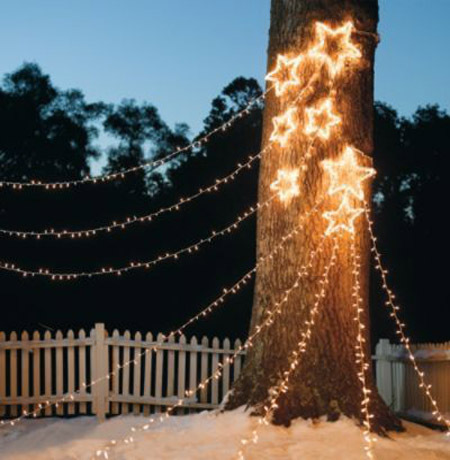 Simply string lights down the backyard fence to turn your yard into a magical place. 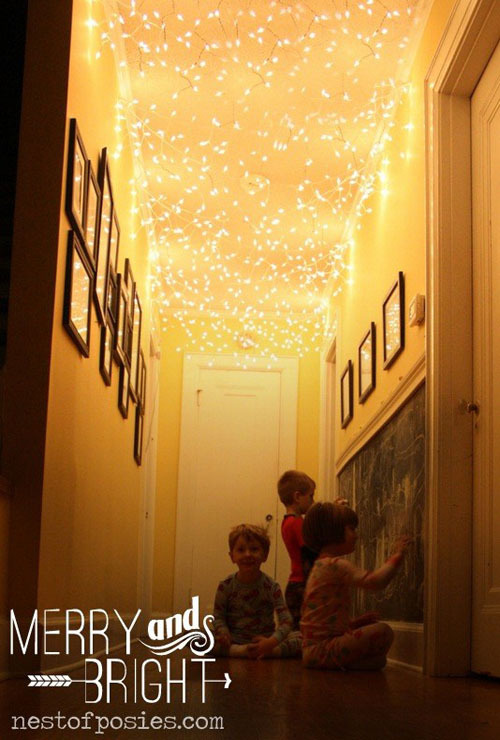 Create a wonderful and magical place for children by stringing light on the ceiling of your hallway. They will remember the whimsy for years to come. 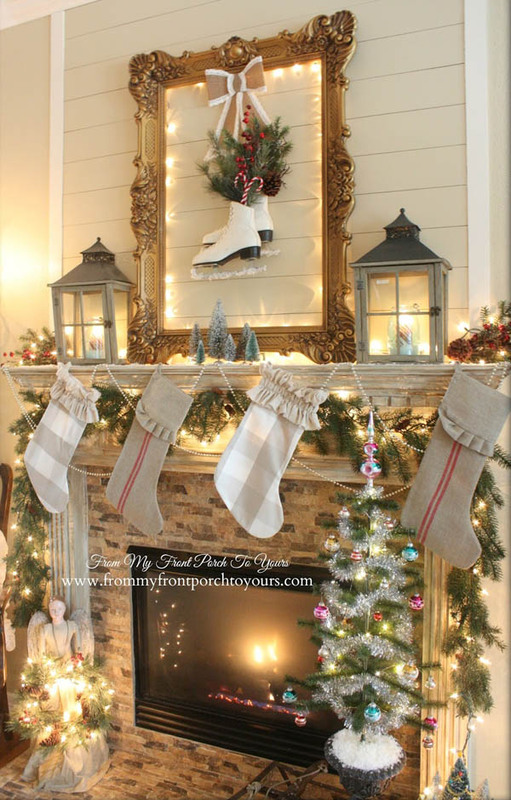 The mantel over the fireplace is one of the most romantic parts of the home. 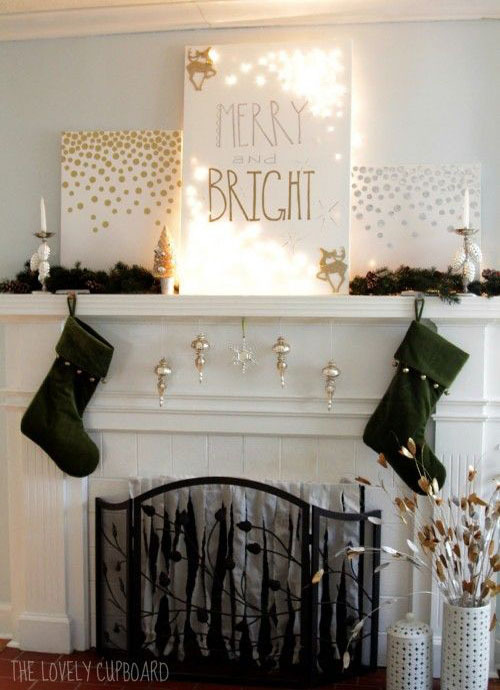 Adding a back light to your favorite mantel decorations will be an eye catcher. 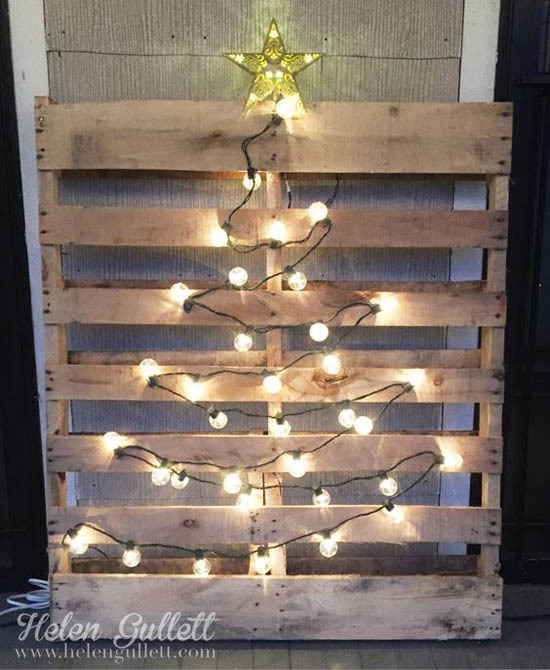 Make a fun and creative project out of pallet wood, paint and fairy lights. 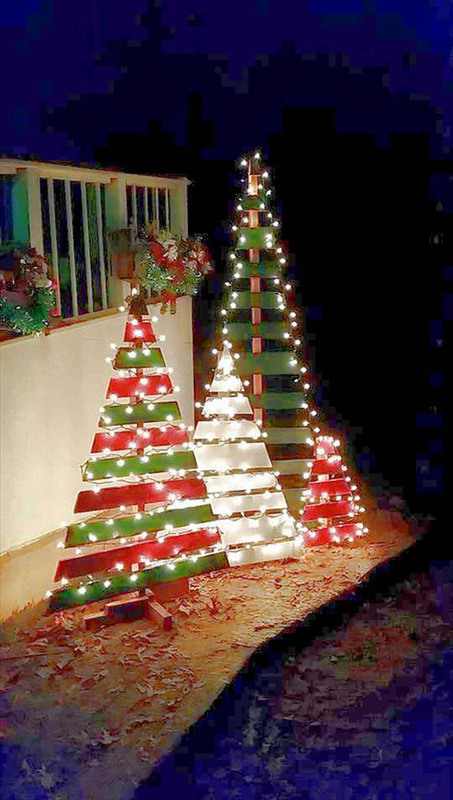 These outdoor wooden trees are great for the front of your home and they are fun to make! 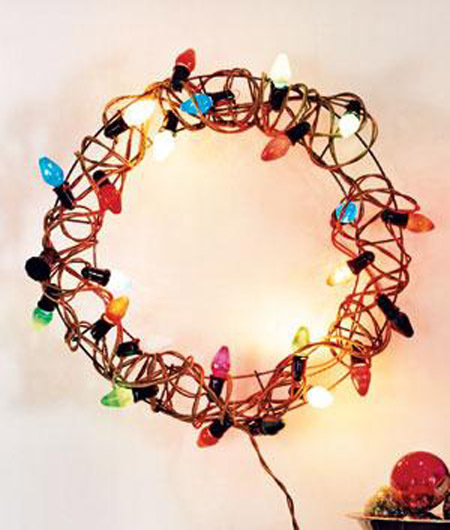 Make a simple and festive wreath out of large blub lights. Have something new and different spice up your holiday season. Outdoor decorations are simply wonderful! 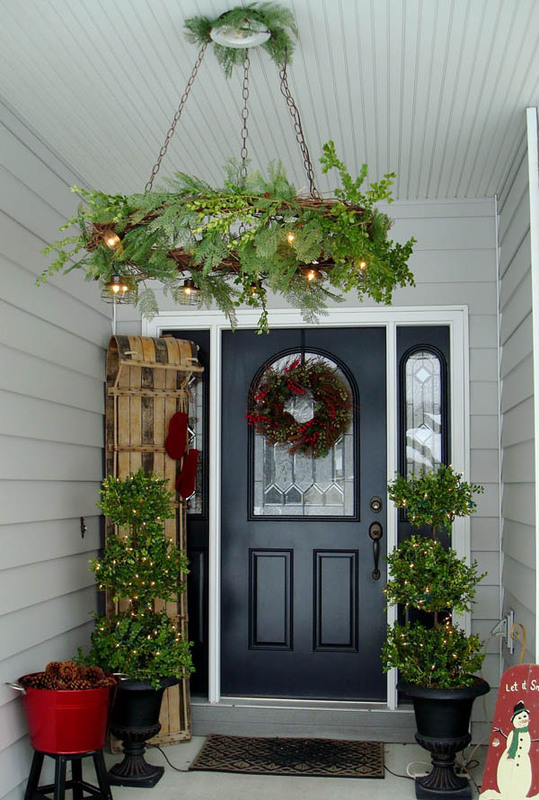 Create this large and festive wreath to suspend from the top of your porch. It will leave your guests in awe! Draw your friends and family with shooting stars. 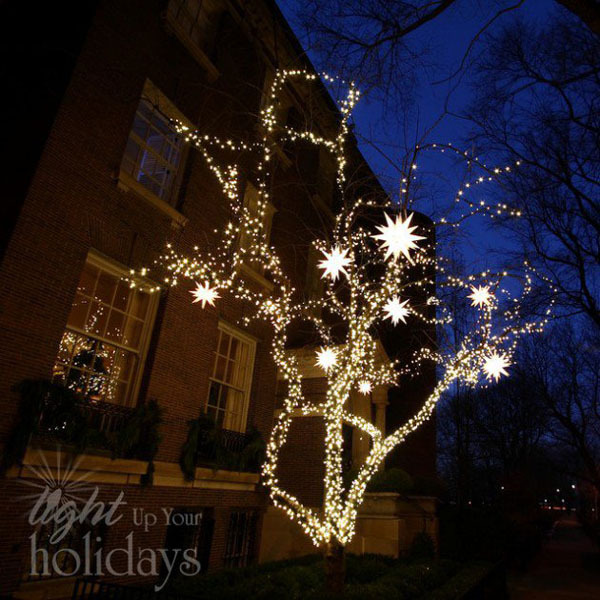 String your lights toward these shining stars to mark a special place for the holidays.